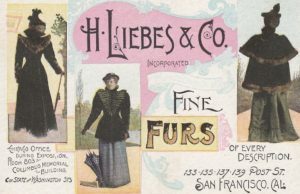 Herman Liebes established himself as an importer and manufacturer of furs in San Francisco in 1864. His place of business was at 113 Mont­gomery Street. 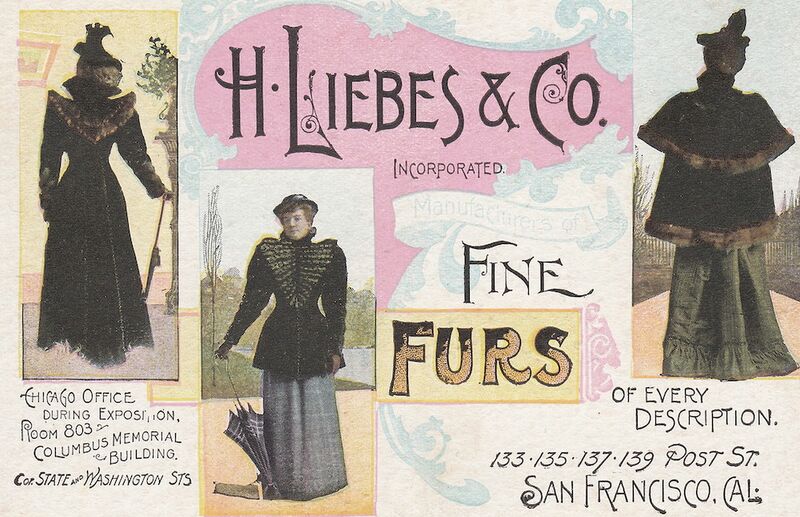 By 1887, the Liebes firm had en­tered the Aleutian Islands to engage in the fur trade. 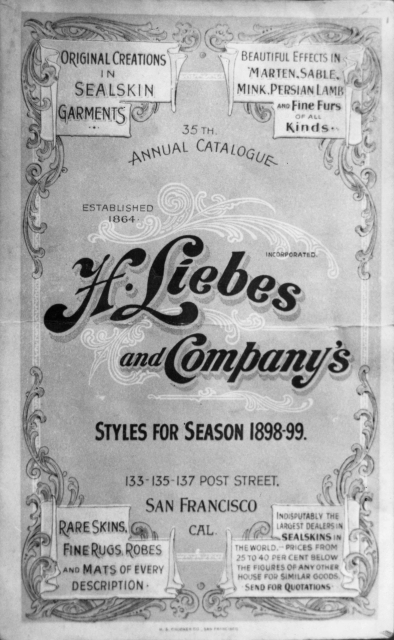 By 1890, Herman’s son, Isaac Liebes, had formed the North American Commercial Com­pany. The company successfully outbid the Alaska Commercial Com­pany for the Pribilof Islands’ Seal Concession, which was controlled by the Secretary of the Treasury. The principals of the Alaska Commercial Company were Louis Sloss and Lewis Gerstle of San Francisco, who had operated the Seal Concession for twenty years, from 1870 to 1890. The Liebes family was backed by the Rothschild interests of Lon­don in their successful bid for the seals of the islands near Alaska. The 1870 Seal Concession called for an annual fee of $55,000 and $2.62-1/2 per seal skin to be paid to the U.S. Treasury. The 1890 agreement, which the Liebes firm signed, required an annual fee of $60,000 and $9.62 per skin. When the Liebes group took control in 1890, they purchased all the facilities on the islands from their predecessor. Herman Liebes was active in the Pacific Lodge No. 48 of B’nai B’rith. 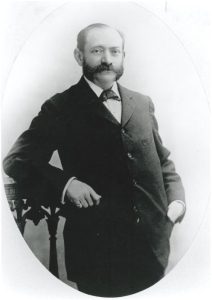 Liebes served as a trustee of Congregation Sherith Israel from 1878 to 1881. He was an active member of Congregation Emanu-El by the turn of last century. 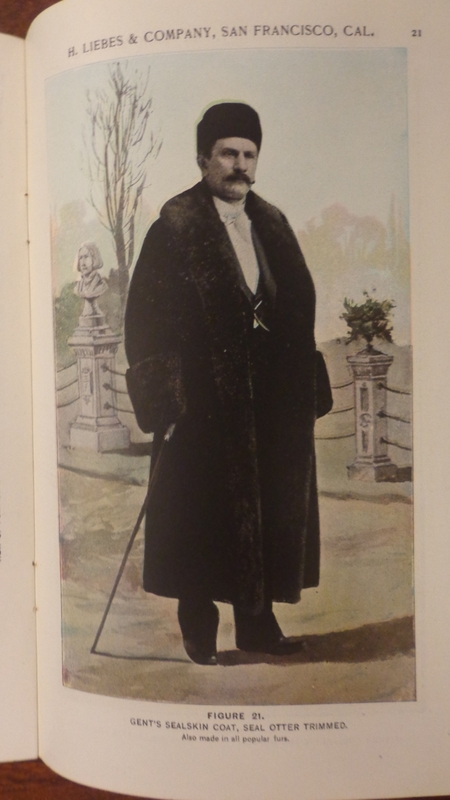 Norton B. Stern, “The Liebes Company: Importers and Manufacturers of Fur Products, San Francisco, California & Alaska,” Western States Jewish History 41/1. Thank you to Sidney Liebes for the pictures of Herman Liebes and the company catalogue.